"Crystals reflect the evolving journey of the Human Soul that will someday radiate the purity of light and the wholeness of love through a crystalline body vibrating to all the frequencies of the Cosmos"
This workshop is recommended for anyone who is interested in understanding how crystal medicine works and to develop their own unique intuitive connection with their crystals to enjoy their healing gifts of energies, colors, visions and guidance that attracted you together. The only pre-requisite is an open mind to explore the unknown. It'll be a fun day of learning about these ancient nature medicine to support your quest for natural well-being. Connecting to crystals is not complicated it just requires some guidance and techniques to open your senses and intuitions to their realms of feeling and visual. Crystals help develop your feeling nature to reading and understanding the subtle language of the energy world all around you. Crystals attune and lift the vibration of your dense body, calm the tensions of your mind and emotion elevating your frequencies enabling you to communicate, learn and receive blessings from the realms of angels and spirit that you can only connect to when your energies are vibrating to higher frequencies of these realms that are natural to the nature world. Meditation and Mindfulness are powerful practices that deepen our connection to our spiritual nature that also enables us to contact the world of angels and spiritual guides and receive information that expands healing and spiritual growth. This workshop will introduce you to techniques and processes that will help you build loving relationships with your crystals and the spirits you can contact through them. You will receive a gift medicine bag containing 7 Crystals that you choose yourself from over 100 range of crystals. You will use these as a connection point to the Angelic and Crystal Realm and a special crystal gifted to you from a Sacred Crystal Mandala or Grid we will all co-create together choosing crystals to form its layout. What you take away from this workshop is a deeper appreciation of the Angelic and Crystal Kingdoms and their connection with you. 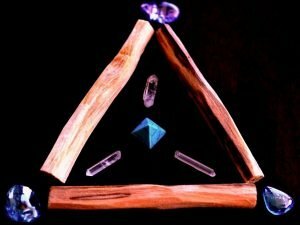 You will develop techniques that will grow as you practice with your crystals opening your senses and intuitiveness to the magical world of angelic crystal energies. 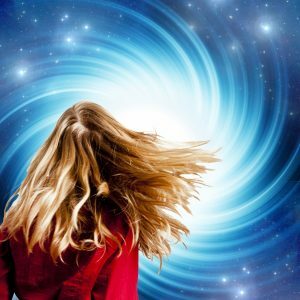 The program of the day is just a guide line of what we will explore but it is also a morphing program as when you work with angelic energy anything may change depending on what occurs on the day and the magic the group brings to the workshop. So lets keep the day open and free and enjoy what arrives. But for the practical mind that needs to know what is happening here is a proposed program . Opening our magical day with co-creating a sacred crystal grid or mandala to support the learning, energy and intention of our workshop. A crystal will choose you to begin your introduction to their world, you will place it in the grid to be part of the crystal matrix. Introduction to the basis of crystal grids for holding energies in personal and living spaces. Introduction to a flower of life template and using the 5 sacred geometry within it to design a simple personal grid layout. Sacred ritual closing our day with each participant gifted with a crystal from the Crystal Grid and your gift of 7 Chakra Crystals you to take away infused with energies of the day to begin your personal crystal grid creativity. To book your seat click Angelic Crystal Connection Workshop Part 1. Dress comfortably. Our Centre has heating and cooling system but if you feel the cold please bring whatever you need to keep warm. Bring any items you would like to use to personalise a sacred crystal grid you will make on the day, ie feathers, pictures, crystals, essential oils whatever you feel drawn to bring. Bring a water of bottle and note pad if you like taking notes. The event provides a light vegetarian lunch inclusive. We have free parking in the front and back of the Centre. Please park anywhere other that parking that are assigned to businesses we share the premises with. Parking on the road is also free.